Here is a pun design that I have working on very slowly. I have had some other projects that have been consuming my extra time that I will detail later. 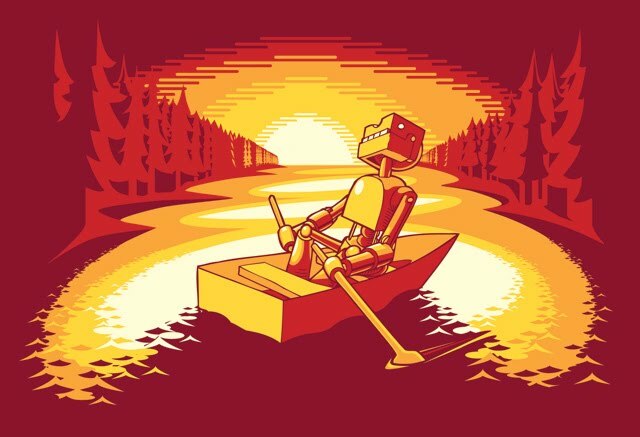 This Row Bot is idly enjoying a sunrise, or a sunset, on a lake. 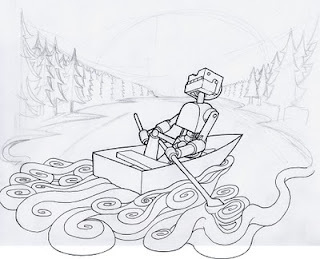 I have included some process images below. 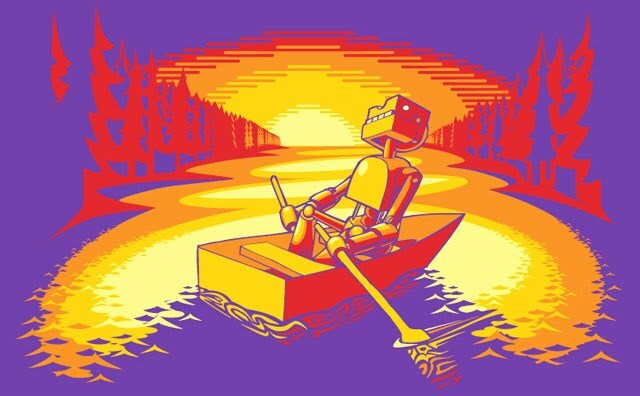 Row Bot (8 x10) vector graphics. 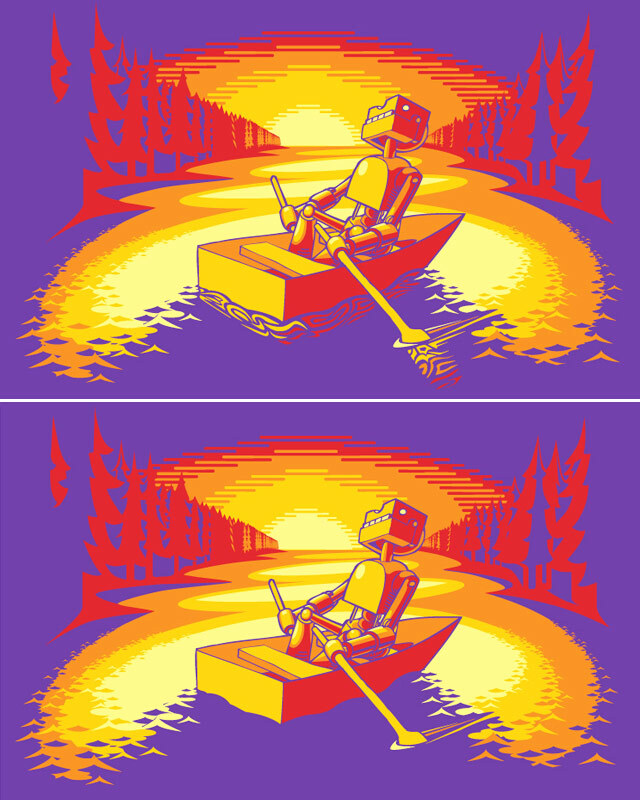 The first vector version had a smaller sun with tighter line width, submerged boat and row elements, and a slightly different tree line. When I showed this art to some people they mentioned an adversity to the purple so I went with maroon in the final version. 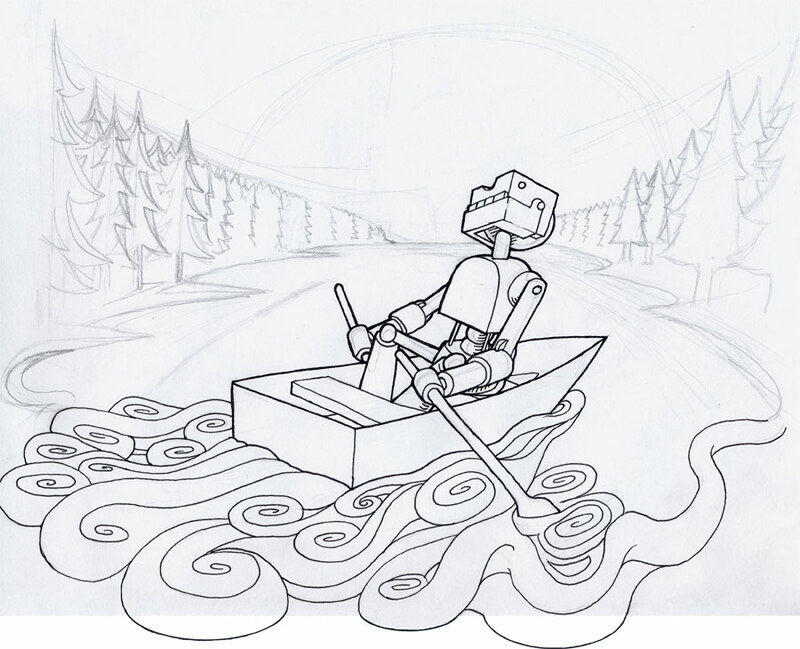 Here is the original sketch and inked drawing. Initially, I had a swirly water affect which I really liked. When I imported it into the computer I decided I wanted to play with the lighting to add dimension. The light direction did not lend itself well to the swirls because the shadow cut across most of it. Instead I played with the random, yet mathematically repetitive, nature of water and shadow play; as seen in the previous two vector versions. Hope he brought along his trusty oil can. Great piece, josh... really like the contrast/colors on he maroon version, and awesome design on the water! Beautiful... The colors are real fine!